In the customer review section of When Christians first met Muslims, buyer A. J. Deus posts a fine review with the many flaws in the consensus scholarship represented in the readings. His website is here: ajdeus.org. Worth reading are his 2 articles about the Umayyads. Go to the headings on the top until Publications, then hover your mouse over that for the drop-down menu, then hover over Working Papers, and the 2 are there, and free for downloading. Pretty much anything by Ibn Warraq is going to be extremely helpful. If you go by how riled up academics get, then it's a winner. This is one of the best books on the subject matter. He includes 54 texts including the 27 of the NT (27x2=54) and others including from Nag Hammadi, Qumran, and some other texts known from elsewhere. Extensive introductions accompany each text, along with footnotes. All Greek texts have been freshly translated. 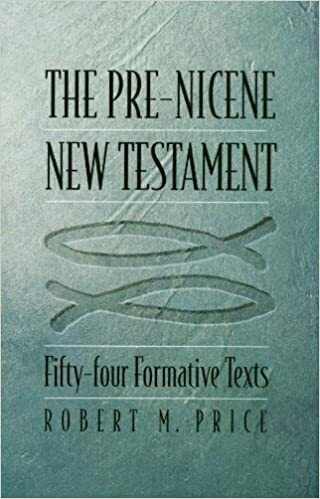 He has grouped the texts thematically to their subject matter, which gives new insight into textual families that are not obvious given the ordering of the NT (esp. in the letters of Paul). He has many interesting things to say about "Muhammad" and his similarities to Paul and the Paraclete, angelology, and the Perfect Man from Ebionite theology (which Islam seems to have taken over!). The long intro to the book and the bibliographic essay offer many more insights. 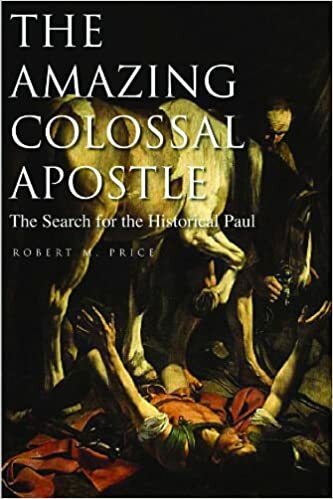 Another fantastic book by Price. He examines the structure of published "epistles" in the Roman era, which includes the NT. Also the theological basis for 7 is discussed (7 letters to churches initially, but expanded to become 7 churches, then 7x2=14 letters in total, some with no church recipient in mind). The practice of compiling longest to shortest may lie behind the arrangement of the Qur'an. Some more discussion of Islam. The original 1977 classic by John Wansbrough, with a new intro and biblio. by Andrew Rippin. Tough slog, and the average reader may not get anything out of it. Seems to be out of print on Amazon, but still available from the publisher. Intro'd by Gerald Hawting. Stephen Shoemaker usually writes on Marian theology and Maximus the Confessor, but this is his 2nd foray into Islamic studies. 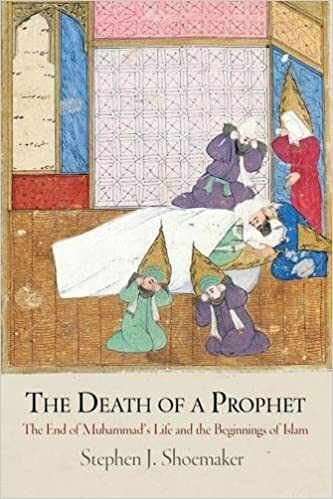 This book has 4 chapters, 1 dealing with a discussion of all the 7th century sources that pertain to Muhammad, and a chapter detailing the rise (more like a bump on the road) and colossal fall of critical scholarship on Islam starting in the 19th century. If you want the scoop on that, this is sure to impress. Now in paperback, so much more affordable. Well worth a read. The cover is the same as all other Routledge blues. This is also a ground breaker, but seems to be more expensive in paperback than Shoemaker's. 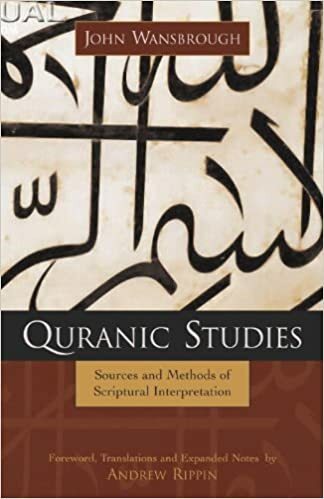 Reynolds examines 13-14 Islamic tales in the Qur'an, their early interpretations by tafsirists, and the biblical background. Gems include: shakedown of Karen Armstrong (makes you wonder why unis and profs love her so much when she is so terribly wrong), the failure of Western studies to apply critical methods perfected and used in other disciplines (eg. Bible, history, archaeology), and a solution to the "sister of Aaron" conundrum. Well worth it to read! Also check out the 2 volumes of The Qur'an in its Historical Context which are the proceedings of 2 conferences. The second of these contains the last paper by Nasr Abu Zayd who died suddenly soon after this. The first volume has many gems, including an indepth discussion of huris, and Syriac Christianity and language. That's all for today. I will have more information later, but it is getting late. Ibn Rushd wrote: In the customer review section of When Christians first met Muslims, buyer A. J. Deus posts a fine review with the many flaws in the consensus scholarship represented in the readings. His website is here: ajdeus.org. Worth reading are his 2 articles about the Umayyads. Some interesting stuff here. What a pity Deus's own articles aren't written with the clarity and digestibility that he credits Penn's work with! I fear even the text of his pdfs could be sharper. I shall have to read them in very small doses - clearly the idea that the Umayyads converted to Islam, rather than merely being less than devout Muslims, is an important one well worth developing. See the titles and authors presented at the annual conference, and check out their blog. Unfortunately most resources are for members only. How can the public share in the discoveries if it's kept out of sight? How can the public determine if their university funding is being put to good use? I received this in an email from Gabriel Said Reynolds, I haven't had time to look through yet, but he's a pretty good scholar. His writings are found in some academic journals, as well as Catholic magazines such as First Things, and Commonweal. His writings express an impatience with pro-Islamic apologists among academics, and shows deeper knowledge than most. All of Martin Kramer's published works, including his recent contributions to Mosaic magazine, a jewish bi-monthly. In 2001, you will find his hugely important Ivory Towers on Sand. Download the book and be amazed at the history of Middle Eastern scholarship. A complete copy of Patricia Crone & Michael Cook's Hagarism; The Making of the Islamic World. Although it looks like a scanned pdf, it can be downloaded as both that and in .epub and .txt formats. The latter is formatted for MS Word (it's terrible in Notepad and not good in Wordpad). I already have those books by Ibn Warraq. So glad to see more of this becoming more available. 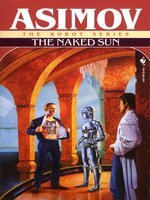 This book starts out roaring and then falls into indecision and chaos as time goes on ... not unlike the Arab Empire itself. This book was announced last spring as "Fighting In God's Path" and has since been renamed. The context of the phrase remains in effect: as can be seen in p. 37, which translates jihad fi sabili'llah (sic; in this context it should be qital). In keeping with its original title, this history intends a military narrative coupled with an exploration of Islam's development. 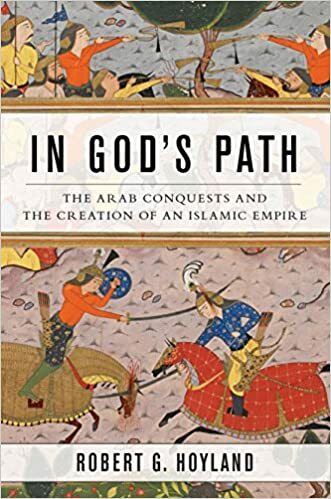 "(Fighting) In God's Path" is best read as a popularisation and expansion of the summary of its author's earlier (classic) compilation "Seeing Islam" at chapter 13.1. (Much as said author's "Theophilus" was the formal publication of Excursus C.) To this new book, Hoyland has brought a decade and a half of scholarship published since then. However Hoyland has not brought so MUCH scholarship as might cast doubt on "Theophilus": Maria Conterno isn't mentioned p. 237, and Woods's critique of the Mardaites isn't mentioned p. 128. The good news first: Hoyland now, AT LAST, has read and accepted Dashkhurantsi's "Albanian" history as the witness to the 680s AD eulogy to the Udi prince Juansher that it is. Another novelty here is the notion that the Arabs who first invaded Iraq might have been independent of the Prophet; the ridda, then, is not a reconquest but the first conquest - of *the eastern Arabs*, by the *western* Arabs: p. 39. Hoyland's footnotes imply that he is deducing this from a merge of Shoemaker's and Pourshariati's chronologies of events; the former keeps Muhammad alive later than people think and the latter pulls the Arab invasions of Iraq earlier. This book's narrative races merrily along to about 665 or so - and then becomes disjoint, as the conquests spread out. We'll read about al-Walid's campaigns through Africa and Spain (705-15) in p. 150 before we get to Ibn al-Ash`ath (700) p. 152. The most egregious shift-in-time is Yazid b al-Muhallab's 715 Iranian campaign being mentioned p. 118 - this is not even the right *chapter*, which ends at 685 and whose title is "The Push For Constantinople". Back to Ibn al-Ash`ath, he isn't noted much here (152-3); he is treated as a side-effect of the Afghan campaign, and the whole meaning of his movement (we're told) was a raid or two on Iraq. This book also does not bother much with the Kharijites (139, 180): Shabib isn't here at all (unless he is being referred to without a name) and Qatari the Azraqi is here only in portrait. There are no Ibadis; no Rustamids, and no al-Dahhak bin Qays. We sort-of get the Barghawatas (to the extent they count as Muslim - see below). Anyone wanting more on these ideological alternatives to the Caliphate must dig through the footnotes. As for small nits: The early map of Iraq has Wasit where it should still be Kashkar; but then the map of Egypt has Fustat (correctly) where it is Cairo now. The rebel brothers Hurayth and Thabit should be BIN Qutba, 169. (Are they confused with QutNa, the poet? the letters look similar in Arabic...) Hoyland says the Barghawatas had "a Berber version of the Qur'an" in p. 181 - to clarify, the Barghawatas had concocted a new Qur'an entirely. The Iranian empire is called "Persia" even for 106 AD when it was "Parthia". This is jarring given that Hoyland *knows* that Iran is diverse and, absent a strong monarch, naturally falls to disunity; more precision would only have helped his case. He does explain his choice of words - but not at the beginning of the book where the Sasanian Empire's brought up; you'll have to follow the rickety stairs to the basement of chapter 7, 273 n. 2, with that sign on the door saying "beware of the leopard". Some of all this might be attributable to Hoyland aiming for a wider audience than the book's subject should expect. I had thought most interested parties would know what a "khagan" is in a Turkish context. Hoyland translates it "chief". Personally I would have translated it "khan" and expected my readers at least to remember Ricardo Montalban. To sum up I wanted an accessible book that tells of Islam's development. We haven't been given that: not as a religion, nor as a theory of governance. To do this would require, at the least, a study of the conception of Islam within the Umma. It is nice to know of "nativist prophets" like the Barghawatsits; but they're post-Muslims, not Muslims. We students need more on the Khawarij, for a start. And it is my sad duty to report that Hoyland has fallen into namecalling opposition to Islam as "Islamophobia"; the overcoming of which mania he deems "noble", 63. If Hoyland is going to impute mental illness(!) to his opponents, then I must wonder about his own motives. To that point, it often feels like our author is hiding modern scholarship from the readers - at least, such scholarship as matters. Already noted is his habit of burying content in the footnotes; this habit is systematic, and we don't always even get the footnotes. For instance we don't get much about Muhammad's early biography, from ANY source. The Qur'an is assumed to be the holy text from the start: 37-8 - but to what extent? (And where's the proof?) Even Mecca is first mentioned in context of Zubayrids, 129 with only its memory as important to Muhammad ("once more"). And as for al-Hajjaj's revisions and editions of the masahif, nothing. Although longer and more far-reaching than Fred Donner's "Muhammad and the Believers", somehow the book is (even) less daring in its own conclusions. It is of use as a summary. It has some facts not in "Seeing Islam"; and the footnotes are of value. If this had come out ten years ago I'd have given it 4/5. But in this day and age it feels like a retreat from the field. Newest book by GSR. Just published on Tues. June 5, and my copy came in the mail today. It's enormous, good for weightlifting. I thought he would have collections of Christian and Jewish sources, but it is merely a large commentary on the Qur'an. The Q. translation is by another man, so it is not even GSR's own. I would have liked to have seen his take on it with a fresh translation. Amazon.com currently lists it as #1 Best Seller in "Mecca and Islam" category. As of now, only one comment made by someone (Talal), who gave it 5-star with short paragraph "Dr. Gabriel Reynolds is the authority on this subject." Hardly qualifies this book as "best seller". Beside, suffice to examine the chronologic orders of all three books - thus the religion itself, it not hard to conclude that simple fact. If it looks like a duck, walks like a duck and sounds like a duck - it is a duck. 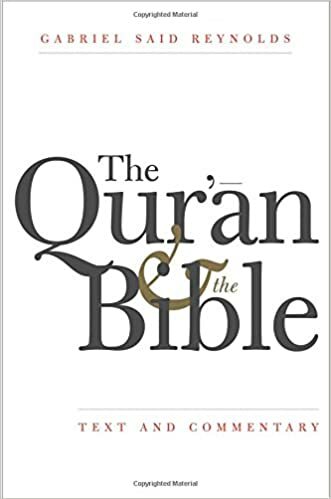 Since Quran repeats exact same historical evens mentioned in Hebrew Bible and re-told in the New Testament - both written 1500 & 500 years respectively before the Quran was written, then it is nothing more than a poor copy of other two holy books. Finally, I will bet my Humus & falafel that, 99% of the 5-star reviews will be made by Muslims, who didn't even read the introductory in the book - let alone read the entire 1000 pages of this 1001 Arabian nights. Critical studies for understanding the pre-Islamic Hajj. The Nabateans built several monuments in Petra and elsewhere displaying a decoration with a preference for astronomical motifs, possibly as a reflection of their religion. However, due to the lack of direct written accounts and the scarcity of inscriptions we do not have a clear knowledge on the precise nature of such believes and how these reflected on the calendar or the religious time-keeping system of this ancient society. A statistical analysis of the orientation of their sacred monuments demonstrates that astronomical orientations were often part of an elaborated plan and possibly a trace of the astral nature of Nabataean religion. Petra and other monuments in the ancient Nabataean kingdom have proven to be marvellous laboratories of the interaction between landscape features and astronomical events showing impressive hierophanies on particular monuments related to cultic times and worships. Among other findings, the famous Ad Deir has shown a fascinating ensemble of light and shadow effects, perhaps connected with the bulk of Nabataean mythology, while from the impressive Urn tomb, a series of suggestive solstitial and equinoctial alignments emanate which might have lately helped its selection as the cathedral of the city. evidence for cultic worship centred on the celestial sphere. According to Arabic sources of the early Muslim era, the Ka’aba in Mekka had a main axis orientated to Suhail, the Arabic for Canopus, and the stars of the Handle of the Plough (Alkaid had a declination of 60º c. 1 AD) and a minor axis oriented according to the solstitial line [Hawkins and King 1982]. The black stone was embedded in the SE corner of the monument facing the equinoxes. It is certainly curious that some Nabataean monuments do reproduce the same pattern of alignments as those classically reported for a hypothetical pre-Islamic Arabic temple such as Ka’aba. The last surviving inscription in the Nabataean language dates from 356 A.D. a quarter of a millennium earlier than the arrival of Islam but the Nabataean divinities were certainly worshiped in the region −the sanctuary of Al Uzza at Wadi Hurad was destroyed by Khalid Ibn al Walid at the commandment of Mohammed immediately after the capture of Mekka. confirmed in several monuments of the city related to the consistent use of the equinoxes, the solstices and perhaps other conspicuous astronomical features, undoubtedly points towards the importance of astral elements in Nabataean religion. These events could have been used to mark times of worship and, most important, to control a calendar, and certainly convert the city of Petra −a place of awe-inspiring crystallization of natural beauty and the unique artistic creation of the Nabataean will− in a gift from their gods, shaped by the supernatural and holding a holly meaning [Jowkowski 2003], that our work has started to unveil. In 2017 Juan Antonio Belmonte and A. César González García published a follow-up study related to pilgrimage to Petra. processional way. The relevance of the spring and autumn equinox within the cultic calendar will also be emphasized in relationship to other sacred sites in Petra, such as the Zibb Atuff obelisks, and additional Nabataean sites. Heliacal Rising of Sirius (Isis) in c. 20/7 Julian. Hence in (B)ab. 1st Crescent or Full Moon of Thebet, the lunar month after, or including, the Winter Solstice. pilgrimages at attractive sacred spots in the vicinity of the city such as AdDeir (and the Lions’ Triclinium), the high-places at Jabal Madbah and Jabal Khubza, or the summint of Jabal Hārūn proper. It would indeed be useful to analyse possible agricultural festivals, or any other kind of cultic festivities, but the evidence is so scarce and variegated that a detailed analysis would conflict with the objective of this paper centered on astronomical phenomena as calendar time-markers. The Nabataean Kingdom had retained a lunisolar calendar of Babylonian type, but in 106 CE the Kingdom was annexed by Emperor Trajan. As implied by Babatha’s Archive,a new era was soon initiated ‘according to Provincia Arabia’ with New Year’s Eve at 1 Nisan / Xandikos, corresponding to March 22 in the Julian Calendar and with a fully solar structure (length of 365 days with a bissextile after each four years). Nabataean Lunar dates needed to adapt to these new circumstances, and they did it very well as proved by the Khirbet etTannur parapegma. However, this is another story!